These are some of the best medieval games out there, and they’re sure to appeal to you if you crave for content that’s set in the said era. The middle ages were a volatile period in European history; the Western Roman Empire had crumbled, the barbarian invasions were all over the place and the early modern period was just setting its foot in. This important period indeed has a plethora of stories to narrate and inspire. And no matter how much the history books try to describe them in detail, no one can ignore the fact that movies and video games actually create a much more enjoyable atmosphere. Video games, in particular, let you play through the major events that transpired during the middle ages and also those that are inspired by them. Hence, in our opinion, there’s no better medium to experience the era if you’re inclined towards it. This is why we’ve prepped up this long roster of titles that you can indulge in so as to grab a feel of the middle ages. You can go through their descriptions to see what they have in store for you and decide which one you wish to buy first. So, without wasting any more time on introductions, let’s have a look at them. This option in our roster of best medieval games is an action RPG which stays away from fantasy elements. 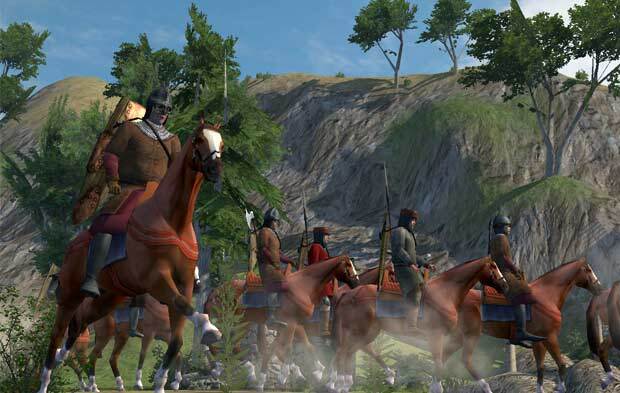 Mount & Blade is set in a medieval world named Calradia and kicks in sandbox gameplay. You jump into the shoes of a character who can either join one of the five battling factions, fight as a mercenary, become an outlaw or take a neutral side. Among all the things that are good in this title, its combat stands out effectively, with its options for mounted as well as on-foot fighting. Graphically, the game doesn’t have much to anything home about, but its overall experience definitely manages to hook you. Released in 2008, Mount & Blade is available now for PC. This option in our lineup of best medieval games is styled along the lines of the middles ages, Anno 1404, or Dawn of Discovery as it’s called in North America is a city-building and economic simulation title which was released in 2010 for PC, Mac, and Wii. Although it features fictional events, they are all based on historical occurrences like The Crusades, development of Gothic architecture, construction of cathedrals and Hanseatic trade. You are thus allowed to create your own history, even as you build a nation using simulation and real-time strategy and explore the globe for techniques to expand your empire. 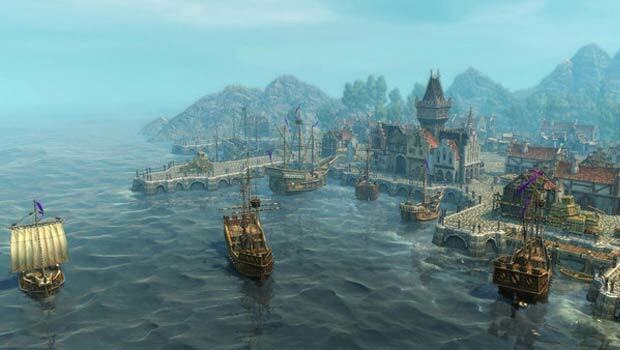 The game even has an expansion for it titled Venice which includes a big chunk of additional gameplay. The first Assassin’s Creed game is technically set during the high middle ages, and although not historically accurate, it gives you a nice feel of the era. It transpires during the Third Crusade and introduces the series’ overall background. 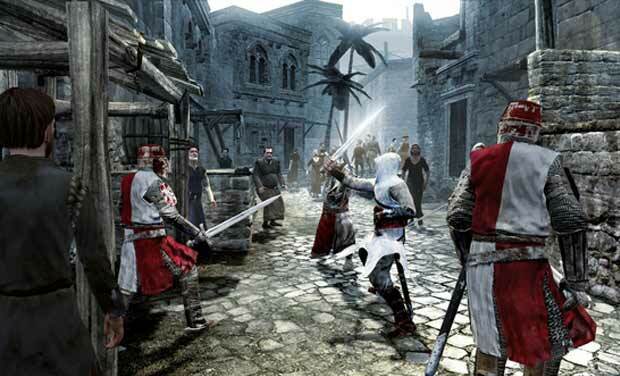 You mainly play as Altaïr ibn-La’Ahad, a member of the Assassins clan which is in direct conflict with the Knights Templar over an artifact known as a ‘Piece of Eden.’ Assassin’s Creed comes equipped with stealth-based action-adventure gameplay which is a treat to indulge in. 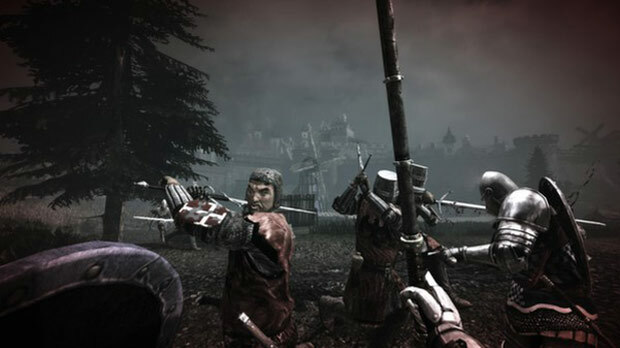 This unique series has stood the test of time and has been developed into a major franchise, but none of the later main games focused on the middle ages. Assassin’s Creed can be purchased now for the PS3, Xbox 360 and PC. 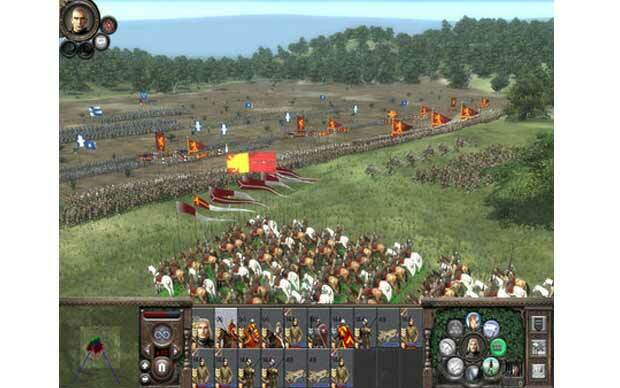 Few games have ever managed to match the RTS brilliance of the Ages of Empires titles. Developed by Ensemble Studios, this gem of an offering comprises of thirteen playable civilizations that include Britons, Celts, Turks, Goths, Teutons, Franks, Chinese, Japanese, Persians, Saracens, Byzantines, Mongols and the Vikings. 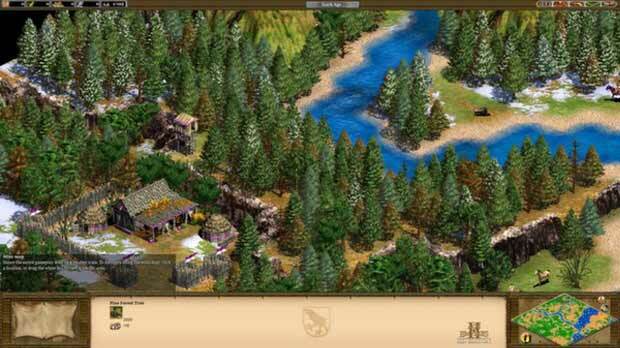 The aim is simple – gather enough resources to create towns and armies for defeating the enemies. Five campaigns with historical backgrounds form part of the title, along with other modes and even a multiplayer component with support for up to eight players at a time. Originally a PC offering, it was launched for the PS2 later, and it was earlier this year that it also landed on Steam with high-definition graphics and other additions. The Total War series has its own unique aura which makes it so addictive. This fourth entrant to the franchise features turn-based strategic rounds and real-time tactically-oriented battles, while it has the focus of its story set on medieval warfare, religion, and politics in Europe, North Africa, and the Middle East. This option in our best medieval games roster has a lot of it to explore, making it a treat for those who’re interested in the medieval era. It offers single-player as well as multiplayer gameplay and can be bought now for PC. Here’s a game that’s not too old, and offers a near perfect blend of satisfying combat and fast-paced action. It has been developed by Torn Banner Studios, the same folks who’ve given us the classic Age of Chivalry mod for Half-Life 2. It is hence that the game’s focus lies particularly in online multiplayer. It takes place in a fictional nation called Agatha, which is in the midst of a civil war and has two factions fighting it out for control of the region. Chivalry: Medieval Warfare is an utterly enjoyable offering which can be played only on PC. This ends our compilation of the best medieval games out there. We hope to have provided you with enough options to keep yourselves busy for a long while. We recommend each of these titles to all those who have a fascination for the medieval ages.